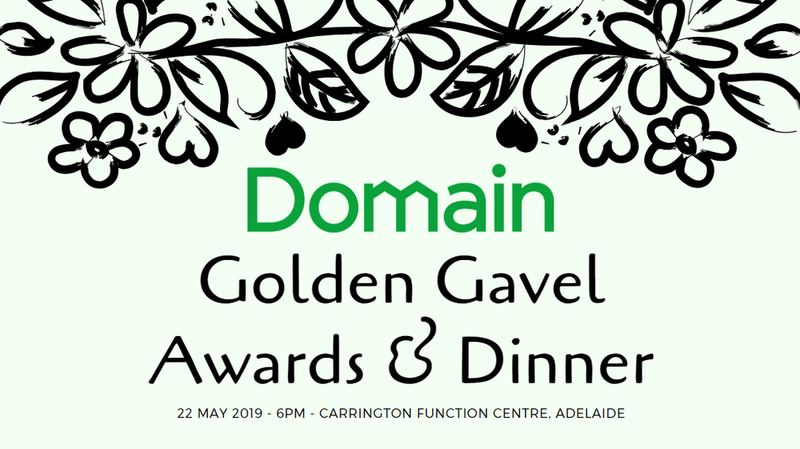 Join us at the Domain Golden Gavel Awards & Dinner where we will recognise Real Estate, General and Livestock Auctioneers & Appraisers. 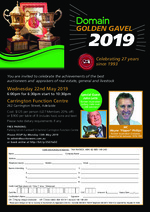 Special Guest: John Letts - former Australian jockey - rode over 2,300 winners!! Please note dietary requirements if any.